Home » News & Events » It’s National Tree Week! Trees play such an important role in our lives and environment. National Tree Week coincides with the start of the traditional autumn planting season, so what better time to consider planting a tree? We probably tend to forget just how important trees are. We can appreciate them bursting into life in the spring, watching their colours change during the summer, before they give off a spectacular show of autumn colours. During the winter, deciduous trees can look amazing with their bare branches showing their structural splendour. Trees also play a very important environmental role. They provide us with oxygen and are a great home and food source for our animals, birds and insects. This is especially true during the winter months when there is a good supply of berries for our hungry wildlife. At Arundel Arboretum tree nursery in Sussex, we are great advocates of doing all we can to encourage and help our wildlife. There is always a good supply of berries for them to eat, we ensure that our feeders are always topped up and there is always fresh water available. Planting a tree in your garden, nurturing it and watching it grow can be a very uplifting experience. Even if you only have a small space, there are many trees that are suitable for small gardens, and some can live happily in pots. It can be a lasting legacy to be appreciated for many generations to come. It is becoming increasingly apparent in social media how good it is to get outside and enjoy all that nature has to offer, and appreciate all that is around us. 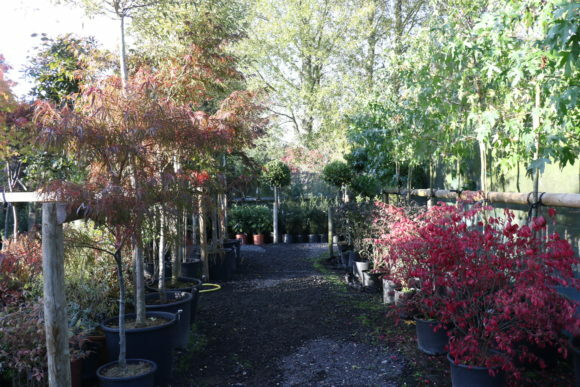 If you would like some help and advice on which tree to plant to celebrate National Tree Week, here at Arundel Arboretum tree nursery in Sussex, we would be delighted to assist you.